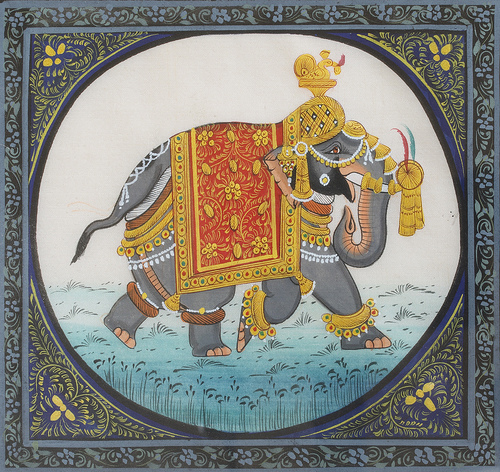 On the edge of the Sacred Forest, on Day Four of the Great Trek of young Raj and his beloved friend, Lakaji the Elephant Elder, these two friends, were now joined by the Chaiwalla, the Chaiwalla’s son, Maharaja Ranjit the Elder and his servant Govinder. As the others stood in a semicircle and faced Lakaji the Elephant Elder, the noble elephant paused and remained silent while in the background the jungle insects hummed, the snakes slithered up and down trees, tigers lurked respectfully in the dark recesses of shadowed tall trees, monkeys leaped and laughed and black jaguars could be seen only because of the whites of their sharp emerald eyes. “Friends, this is the fourth day of the Great Trek which Raj and I have taken. 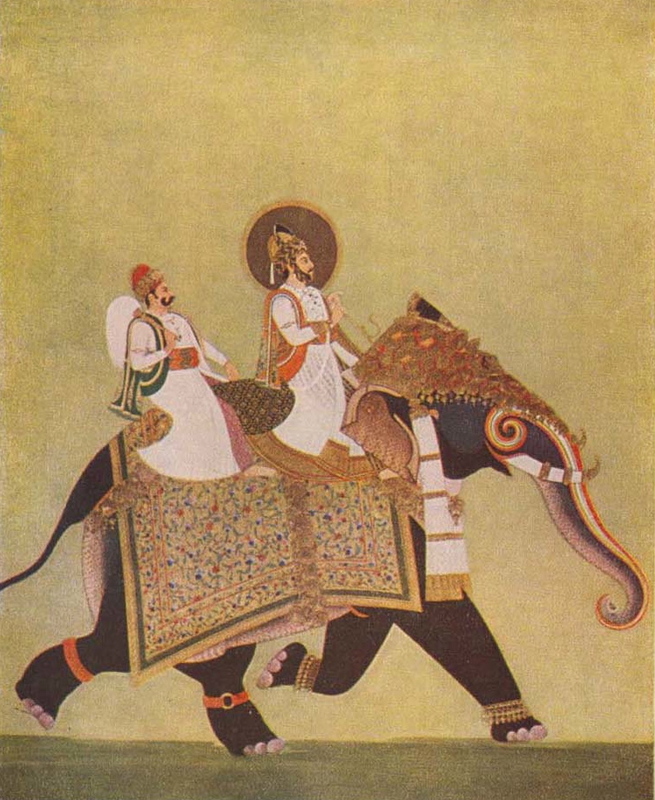 We have agreed that on the seventh day, Raj, with the blessing of his father, Randhava the Elder, shall slay and kill my elephant clan in the forest of Gir. Such is the pain of humanity when it is confined to limited solutions. Yet, what I wish to say to you today, friends, is that there is a sacred secret about the species of elephant that you should now know. We call it ‘The Room in the Elephant’. “Did you know, dear friends, how much room we elephants have in our hearts and in our souls? We have infinite room. Room for forgiveness, room for compassion, room for understanding, room for reason, room for goodness, room for generosity. 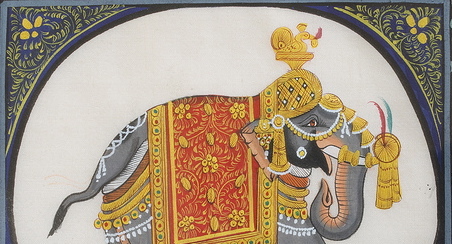 Every time an elephant dies, that room grows bigger and expands, just as the Universe expands, just as Lord Vishnu expanded in the size and breath and depth of his imagination when he fought the evil Baali. Lakaji the Elephant Elder then proceeded to walk and guide his friends in the direction of the great elephant graveyard deep inside the Sacred Forest, a deeply secret and sacred place, that is guarded by tigers and jaguars and ferocious monkeys and poisonous snakes, which will spare no life except for those of an elder elephant and his friends. The Chaiwalla, the Chaiwalla’s son, Maharaja Ranjit the Elder and his servant Govinder, together with Raj, the son of Randhava the Elder, stood in awe and wonderment at the sight before them. 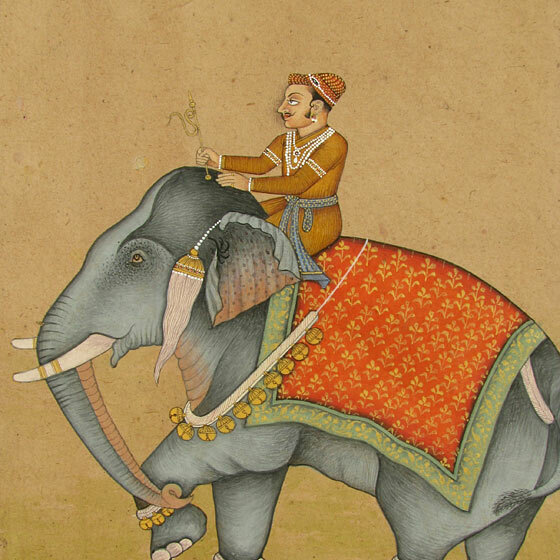 “I have heard your prayers, Maharaja Ranjit, and I know your character from when you were a little boy like this young boy who is the Chaiwalla’s son. Click here for Chapter Fifteen, The Watered Garden.